A very mild formula that makes use of the softening properties naturally occurring in Aloe Vera, gently cleaning and softening delicates. 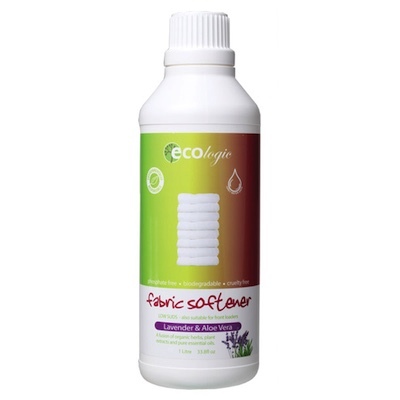 Perfect to keep towels soft and fluffy and delicates delightfully light, ECOlogic Fabric Softener leaves every load smelling fresh and helps to make ironing a breeze. Also suitable to use for hand washing and is very gentle on your skin.